A handsome model with truly great front camera for selfies, smooth performance sometimes you can witness lags and sluggish behavior of the phone but that&apos;s manageable, battery is average but a good model in this price range. A product you should go for in this budget. The phone is okayish. In 16k range, there are lot of good phones out there in the market. Build quality and performance is okayish. The phone feels outdated. I would not recommend buying this phone now. Rear camera is good but not good as selfie camera. 3 Pricebaba users have written their experience with Asus Zenfone Selfie. If you own Asus Zenfone Selfie, please do leave your feedback too. 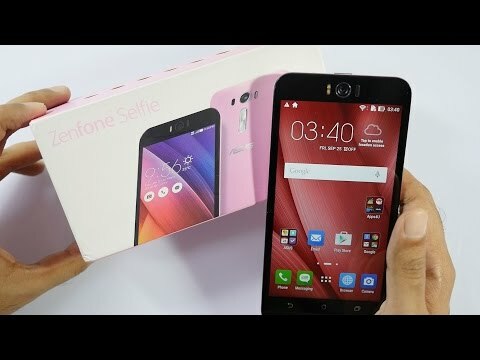 Lowest price of Asus Zenfone Selfie price in India starts at Rs. 14,999 Asus Zenfone Selfie is available on Flipkart at Rs. 14,999. Prices updated on 22nd April 2019. The popularity of smartphones has brought with it several new trends in our society, none more popular than the selfie culture. It is thanks to this culture that several mobile manufacturers have looked to exclusive cater to the selfie lovers and bring devices where the USP is the front facing camera. The likes of HTC have done so in the past with the Desire 826, Gionee did it with the Gionee E7 and now Asus has done the same with the Zenfone Selfie. Aimed at selfie lovers, as expected the phone comes with a killer 13 MP front facing camera with f/2.2 aperture and a Dual LED flash. A selfie panorama mode which lets you to take selfies of up to 140 degree. A low light mode for the front camera to ensure that your selfies come clear even in low lighting conditions. Asus uses pixel merging technology, right since the time of the Zenfone C to ensure up to 4x light sensitivity for your selfies. Beautification mode that makes your selfie look more glamorous and pretty by balancing and correcting your facial features, completion, lighting etc. Laser Auto Focus technology for the rear camera allowing you super fast focusing speed for clear images. Availability in two different color options: Pink and Aqua Blue depending upon the choice of color you like. A 5.5 inch Full HD display with IPS technology giving you a wide viewing angle of about 178 degree. The display is protected by the Corning Gorilla Glass 4. Snapdragon 615 SoC giving snappy performance along with 2GB of RAM and 4G connectivity. Several smartphones like Xiaomi Mi 4i and Samsung J7 have the same processor and while the first generation of 615 was plagued by heating issues, the subsequent variant has been remarkably improved.